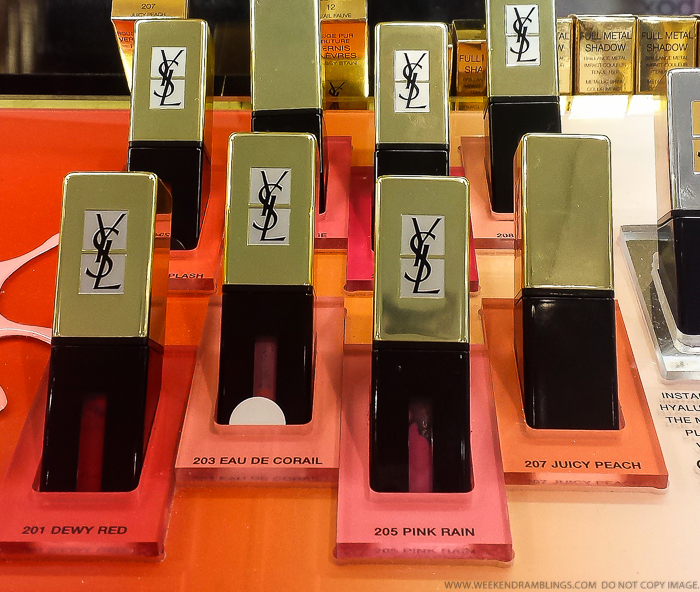 YSL lip colors always have some fun colors, and overall, I find them worth the splurge. 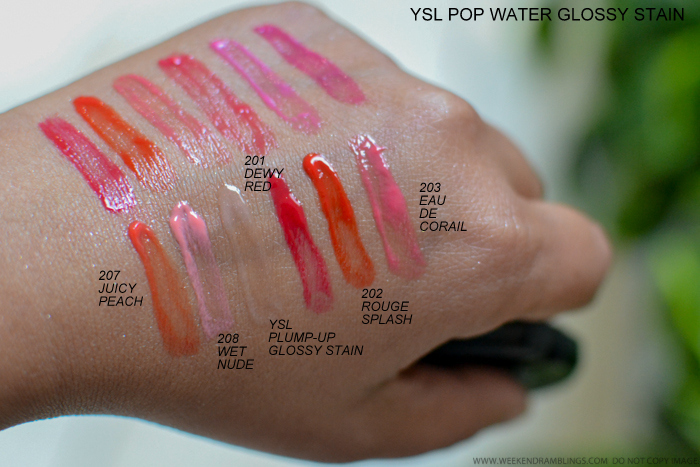 The YSL Pop Water Glossy stains seem to follow the rule, and while they are on the sheer side, there are some bright/vibrant colors in the range that would be great for wearing in the summer, especially for those who are dipping their toes in the bright lip color trend. 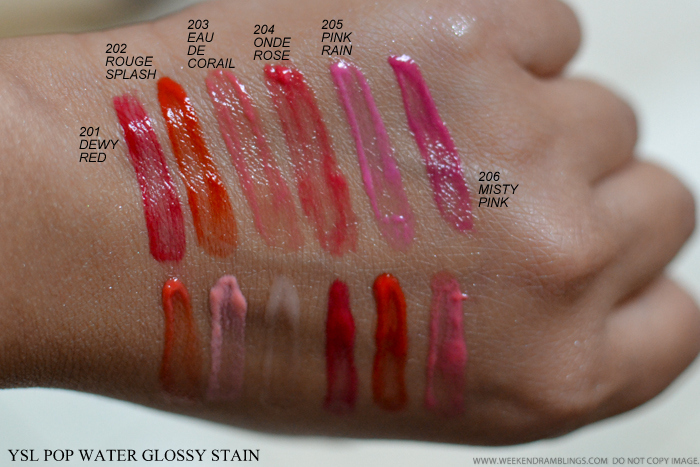 Do check Sabrina's (from the Beauty Look Book) post on these for a more in-depth review as well as comparisons and photos.